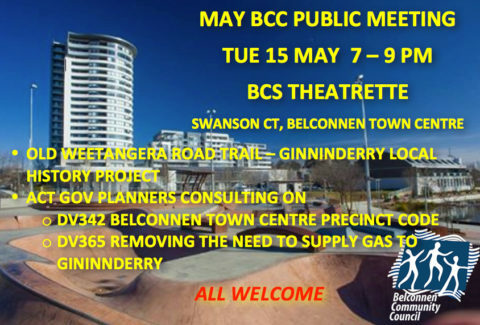 8.00 – ACT Government planners will present to the community on DV342 the proposed precinct code arising from the Belconnen Town Centre Master Plan, and DV365 on removing the requirement to supply natural gas to Ginninderry suburbs. The monthly public meeting of the Belconnen Community Council will take place at 7PM on June 21 2016 at the Community Room above the Belconnen Library. 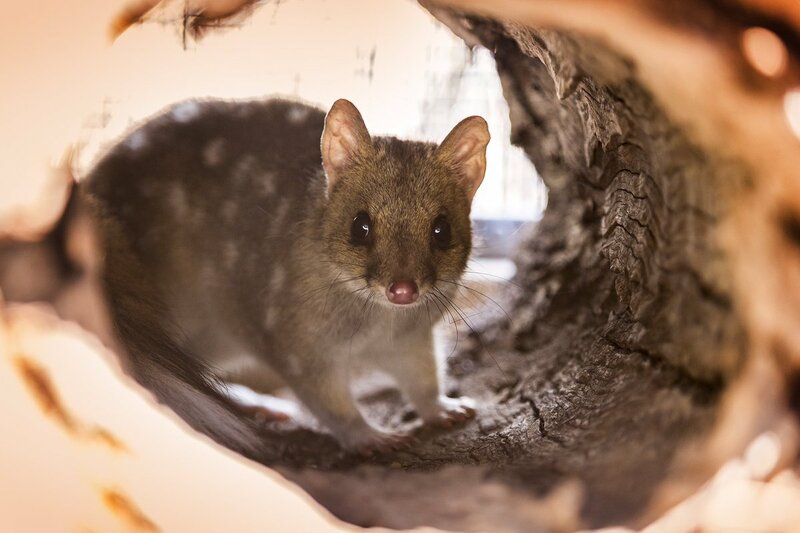 This month we have the opportunity to engage in community consultation with three different organisations proposing development in the Belconnen Town Centre. 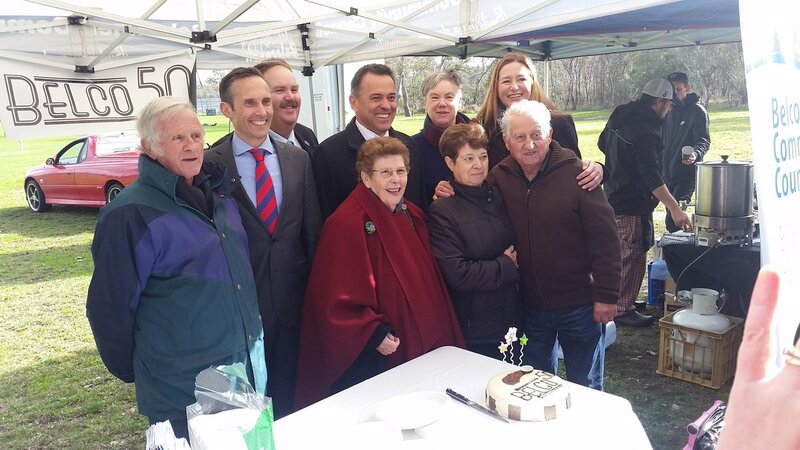 We will also discuss the Belco50 celebrations commencing on June 23. Stewart Architecture on behalf of the Rock Development Group will present new plans to fill the giant hole in the ground at the Belconnen Markets, and seek feedback from the community. 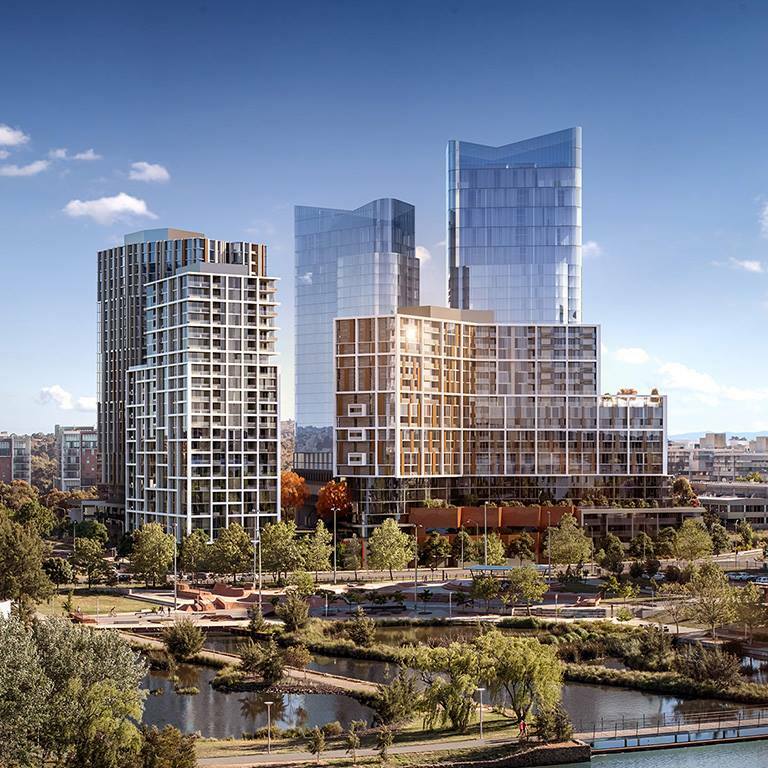 The proposed buildings will be 6 storeys high, between the Belconnen Markets and Belconnen Way, and have ground level retail space. 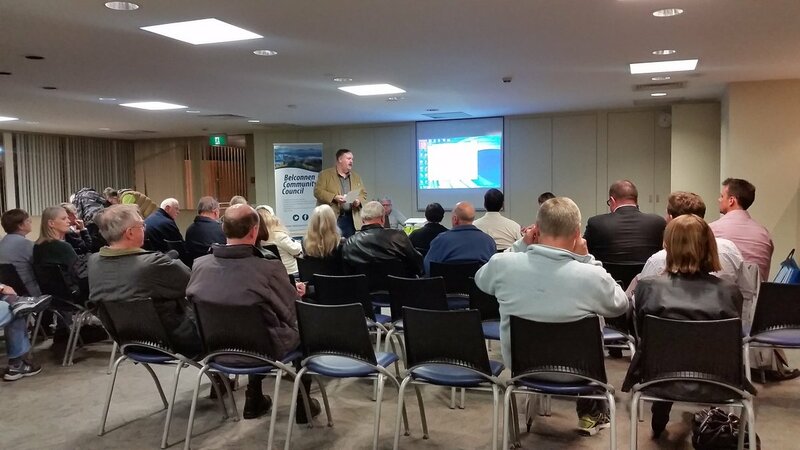 The Land Development Agency would like to discuss options for the old Water Police site on Lake Ginninderra. The site is small with room for a retail only building no higher than two storeys. Public access to the jetty and boat ramp must remain. No decisions or plan have been made yet, and public views are now being sought on options and ideas for this site. Elton Consulting will present plans for the block behind the Belconnen Labor Club (Section 200). Canberra developer GEOCON purchased this block in 2015, and would like to present preliminary plans to the public ahead of lodging a DA. This site is proposed for a 27 storey mixed use building facing the lake. All residents of Belconnen are invited to attend.